Thomas Watson at his best. This is a book on the Christian walking violently before God – that every Christian should excel in his walk with Christ each day. 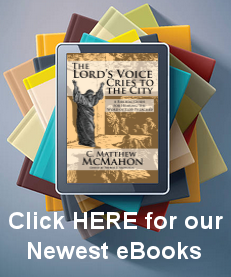 What violence is offered unto the Kingdom of Heaven by the Christian? That sounds like a wrong statement. But this is wholly otherwise. The Christian is required to take the Kingdom of heaven by force, to take heaven by storm. He is to be a tornado, or a hurricane, in respect to his violence and his disposition in raging or pressing into the Kingdom of God with all his might. Would God require anything less than for the Christian to strive and place forth his best for the power of the Kingdom? The subtitle to Watson’s book is this: “Showing the Holy Violence A Christian is to Put Forth in the Pursuit After Glory.” It is not a “chasing after the wind”, but rather, it is being a holy wind of violence in a pursuit to take up the things of God and hide them in the heart and mind. Watson vividly explains how the Christian is to be about this practice of holy violence, what it consists in, how to obtain it, and how to improve upon it. This is a favorite in our house. My wife has read it three times and will come back to it in a couple of months to read it again. Watson’s pithy style and lucid illustrations drawing the reader that they desire to know how it is that the Christian may take heaven by violence, and strive after the pursuit of glory.